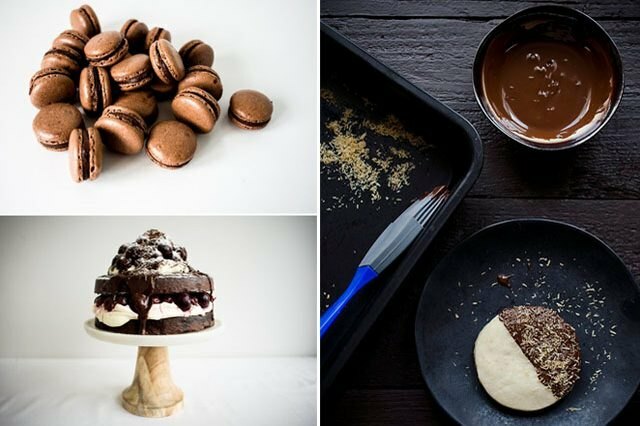 It sounds so fancy but don't be fooled by these delicious little cakes. 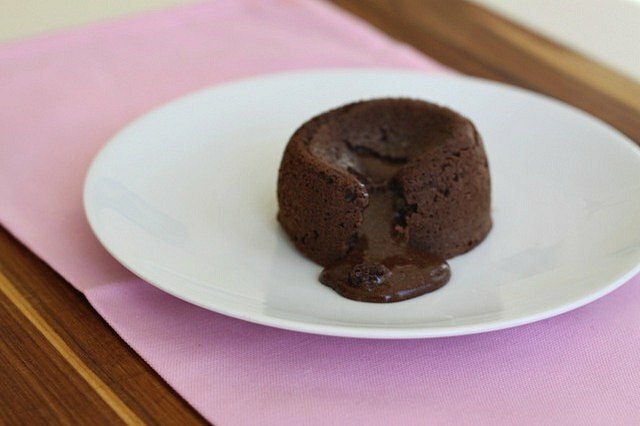 There's nothing difficult about making your own molten chocolate lava cakes at home and this recipe includes two options: one with a standing mixer and one without. Both turn out beautifully: rich, chocolately and delicious. 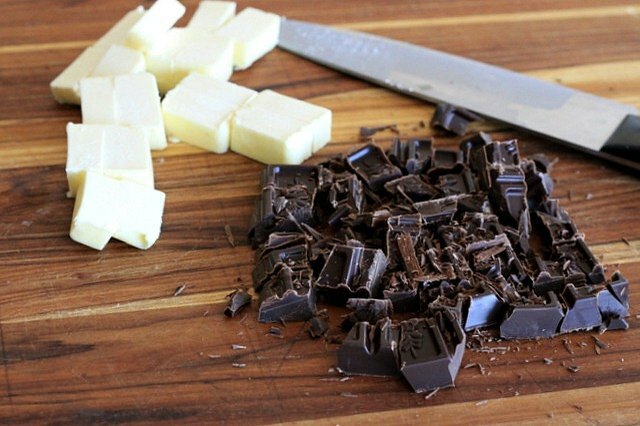 Slice the butter and cut chocolate into small pieces. 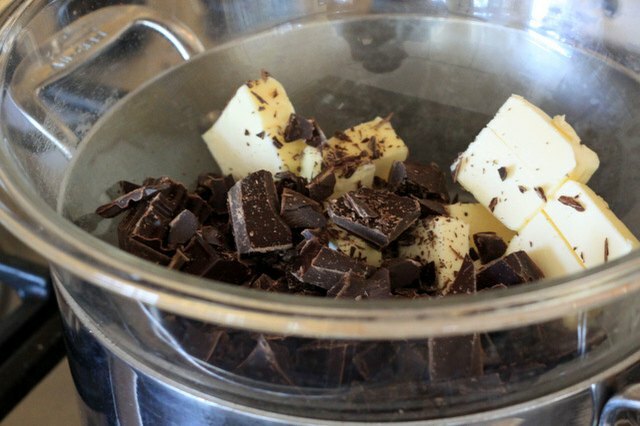 Melt the chocolate and butter together in a heat-proof bowl over a pan of gently simmering water. 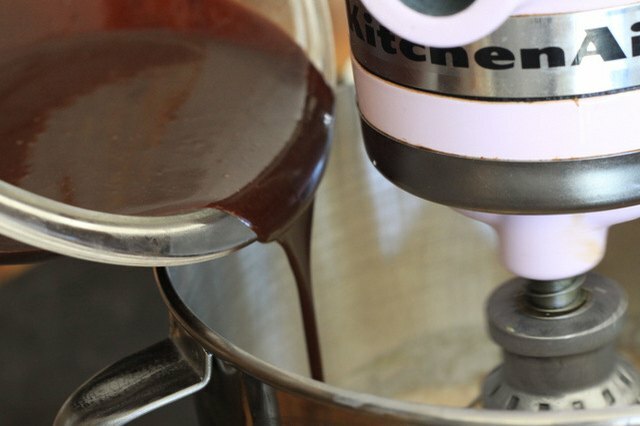 Once the butter and chocolate are smoothly melted, add vanilla, and remove from heat and stir. Use a towel to move your bowl from the hot pan, taking care to avoid the steam. 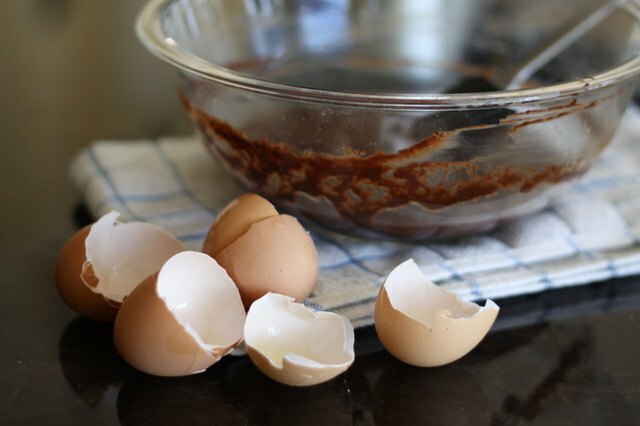 If you don't have a mixer, or just want to avoid using another bowl, follow this method: crack your eggs (and egg yolks) into the chocolate mixture, one at a time. 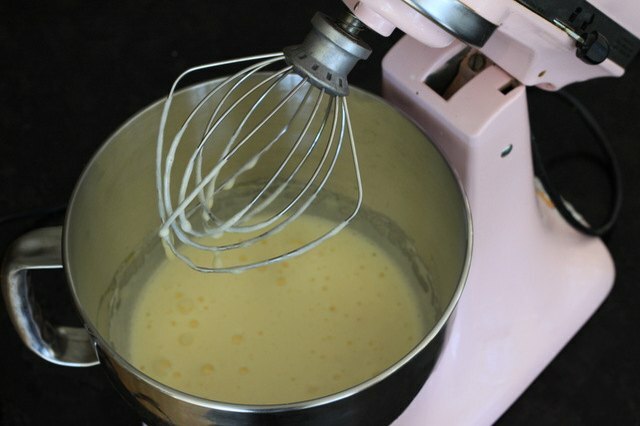 Use a handheld mixer or a whisk to incorporate the eggs with as much air as possible. 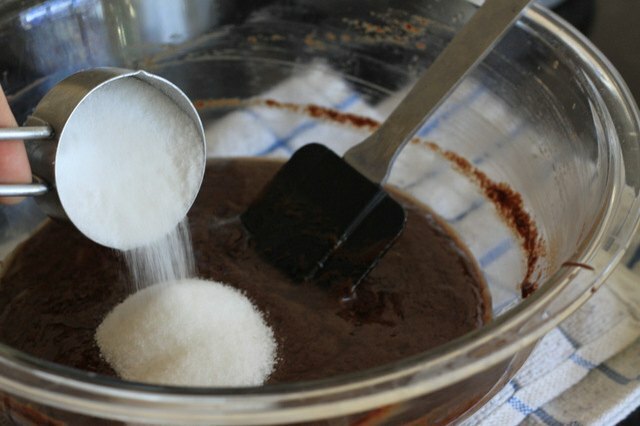 Add the sugar and mix again with a whisk or handheld mixer. 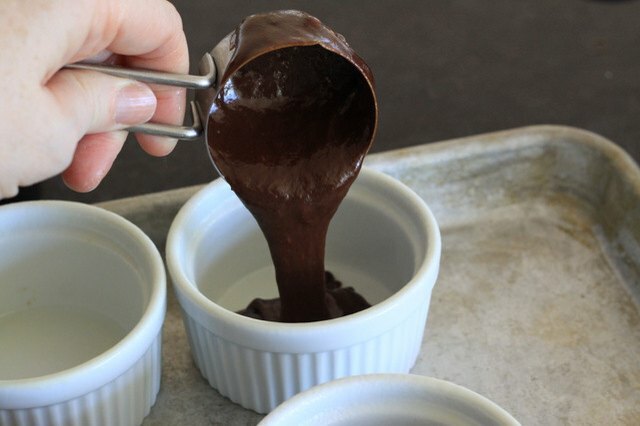 This is a second method for making the lava cakes. Start with the eggs and sugar. 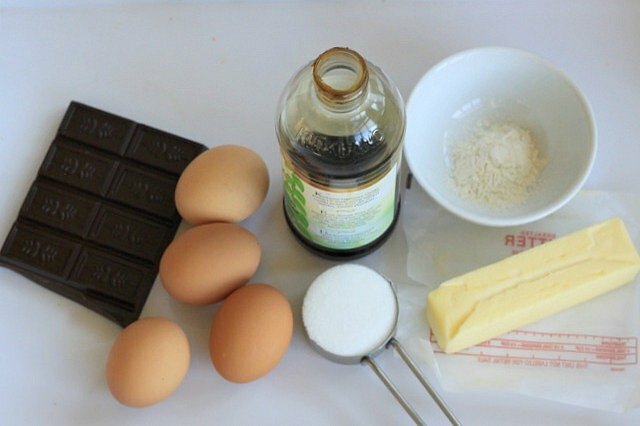 Whisk them until the mixture triples in volume, about 5 minutes. 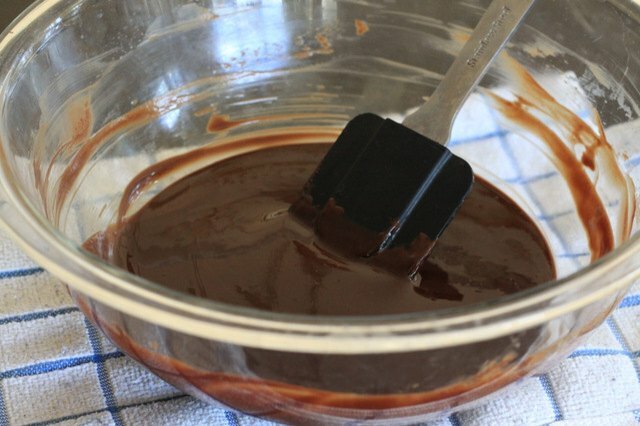 Then add the chocolate mixture to the egg and sugar slowly, with the whisk attachment still moving. Add the flour last, stirring until it's just incorporated. 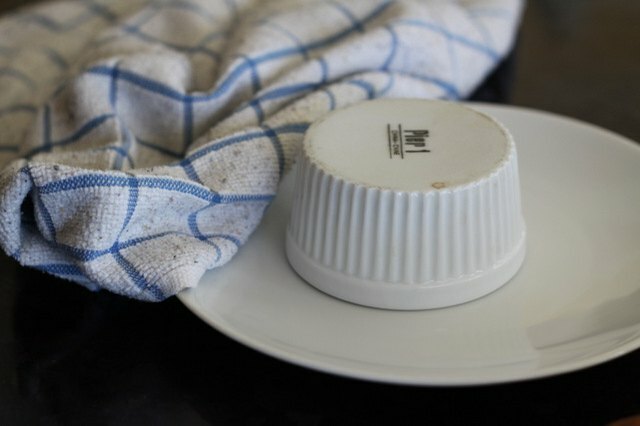 Prepare four ramekins by buttering them liberally and adding a pinch of flour, then tapping the sides until the flour coats your bowls entirely. Or use a baking spray with flour. 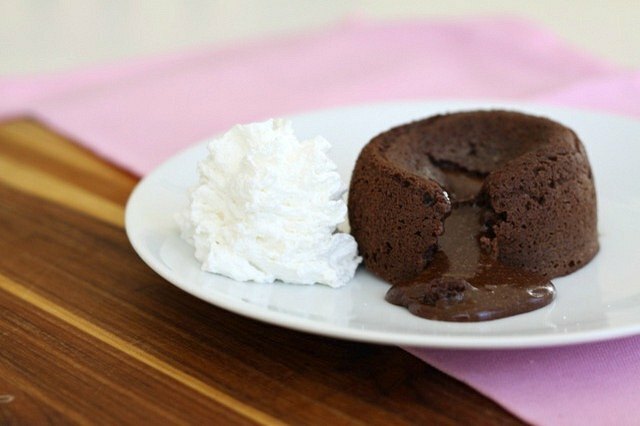 Want to make these lava cakes ahead of time? Stop at this point. Cover and refrigerate. 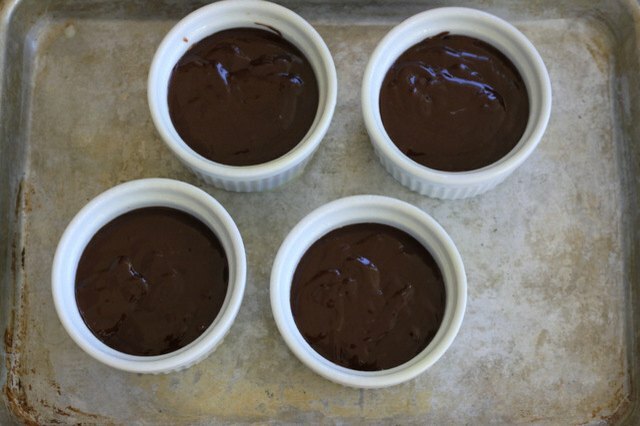 Bring them up to room temperature before baking, allowing for about 30 minutes to do so. Bake for 8 to 9 minutes at 450 degrees Fahrenheit. Once the cakes come out of the oven, carefully invert them onto a plate. 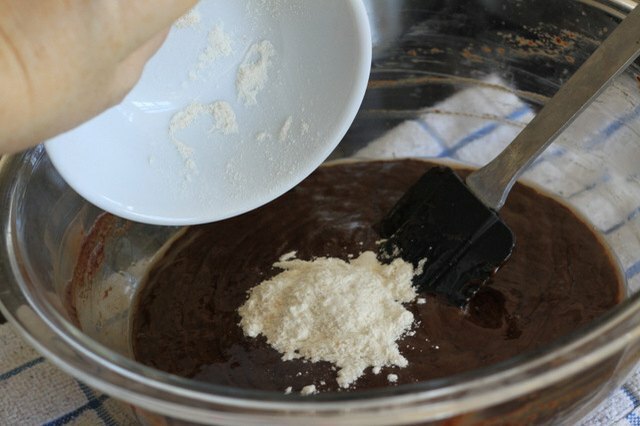 If you bake for only 8 minutes, the cakes will be more liquid inside, while 10 minutes will result in more of a gooey chocolate center.